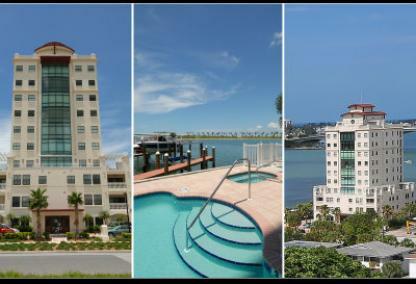 The Majestic Bay condominium on Golden Gate Point features downtown waterfront condos with sensational views of Sarasota Bay. Built in 2004 and comprised of only 10 exclusive residences, owners enjoy privacy and luxury of an outstanding building with top of the line amenities. Open floor plans are showcased in Majestic Bay offering three bedrooms and a possible study. Square footages of the condos range from 2,703 to 3,031 square feet. All of the residences feature architectural details expected in a luxury waterfront condominium. The view are outstanding! Address: 258 Golden Gate Pt. 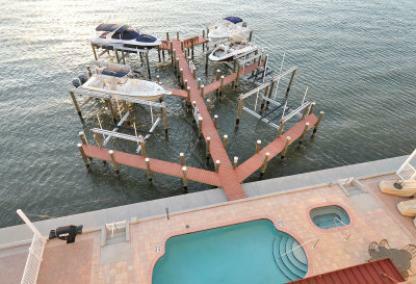 Urban sophistication and the ultimate in downtown waterfront living is available with all Sarasota’s amenities nearby.